If you are interested in receiving our newsletter, then please register by entering your email address in the blue box at the bottom of this page. We anticipate sending you quarterly updates so that we can keep you up to date on our new product releases and other interesting information without inundating you. 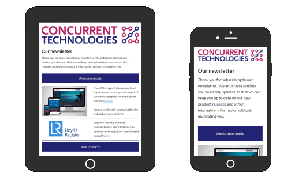 If once you have subscribed you change your mind and no longer want to receive our newsletters, you can opt out/unsubscribe by clicking the link in the footer of any of our Newsletters.